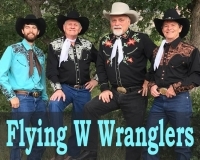 The Flying W Wranglers have been performing music for over 63 years, making them the second oldest Western music group in the world. As you ride along with the Wranglers, you will experience the classic country, western swing and gospel music that we all grew up on, along with a bit of Cowboy wit. During their decades of playing, they have performed at some of the premier venues around the country including Carnegie Hall and the Grand Ole Opry. Today they continue to be one of the premier Western Music groups west of the Mississippi and are riding down the trail with their saddlebags full of great songs from the American West. 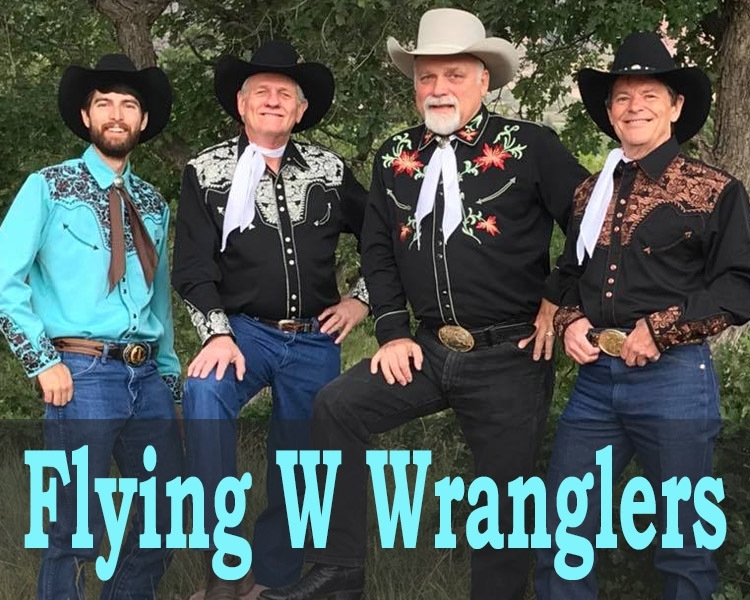 With their unique western harmonies, fantastic yodeling, and superb instrumentation, the Flying W Wranglers are proving that the best is yet to come!